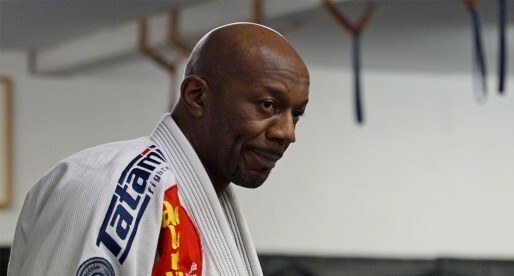 Jonathan Thomas, often referenced as Jon Thomas, is a Brazilian jiu-jitsu black belt under Master Romero Cavalcanti (Jacaré) and Lucas Lepri, who also worked extensively with Rubens Charles (Cobrinha) and Rodrigo Vaghi. 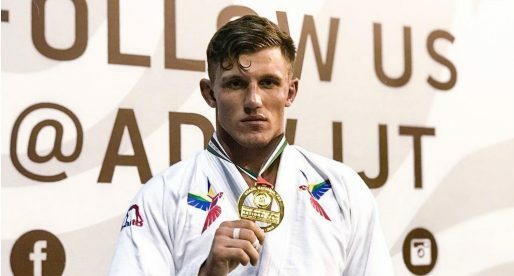 Thomas gained notoriety while competing in the lower ranks of BJJ’s international sporting circuit, after repeated wins at the International Brazilian Jiu-Jitsu Federation (IBJJF) World and Pan American Championships. Jonathan would later lead a successful competitive career as a black belt athlete and as a coach for the Swedish grappling academy, Valhalla Jiu-Jitsu. Nickname: The Portuguese name “Macarrão” has been associated with Thomas and his style of BJJ play. The name means “spaghetti”, and is often used to describe lanky guard/flexible players. Jonathan Thomas was born on August 25, 1986, in St. Louis, Missouri, United States of America, where he grew up. During his childhood Thomas picked up an interest in martial arts (MA), going on to practice a traditional style, at a local sports club, named Goshin Jitsu – a MA geared towards self-defense. At this same club, there was also a judo class which young Jonathan joined, and it was through the famous Olympic combat sport that he was introduced to competition. As a teenager, Jon stumbled across the VHS tapes of the first Ultimate Fighting Championship (UFC). Watching Royce Gracie, the smallest athlete on the tournament, overcome his opposition made a big impact in Thomas. He sought out a few books on the subject and studied the positions with his judo training partners, which further fueled his curiosity for Gracie’s jiu-jitsu. 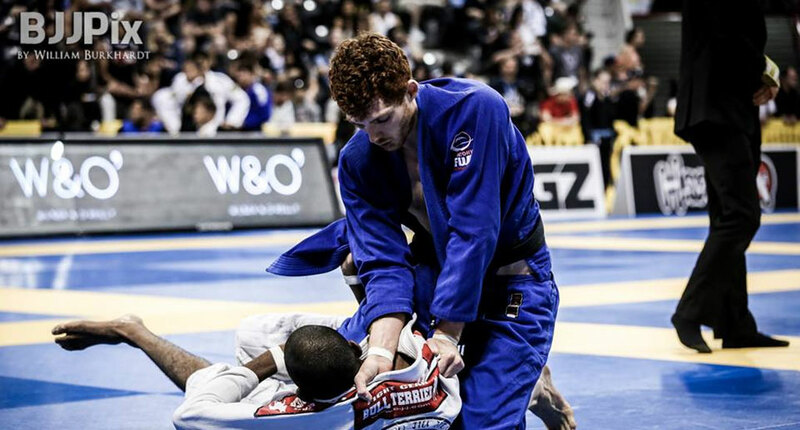 After a few months of dissecting BJJ books, Jonathan Thomas decided to join a Saint Louis based grappling club led by one of Rickson Gracie‘s most well-known students – Rodrigo Vaghi. Under Vaghi’s tuition, Thomas became a competent competitor in the local and national scene. All this while working on his engineering mathematics degree. After reaching his purple belt, in 2008, Jon decided to postpone his entry in the mathematics professional market for a chance to train with Rubens “Cobrinha” Charles, one of Jon’s idols, at the Alliance Headquarters in Atlanta – Georgia. After two years in Atlanta, Thomas decided to finally join the professional market, moving to Washington DC where he worked in the satellite industry, training with Ryan Hall. Although engaging in a rewarding and prosperous career, where he regularly briefed high-ranking military officers, his time in DC was shortlived as the passion for jiu-jitsu spoke lower than space. This led Jonathan to drop his working arrangements and travel back to Atlanta where he re-joined Alliance. In Georgia, Jonathan met Cobrinha once again, who later left to Los Angeles. From then on the young Missourian was taught by Lucas Lepri and Master Romero Cavalcanti at the Alliance HQ. It was Lepri and Cavalcanti, who promoted Jonathan to black belt in unison in late 2013. Although working a full-time job, and competing in the sport’s top tournaments, Thomas also paid regular visits to Europe, leading a few BJJ related workshops in the Old Continent. During one of his recurring visits to Göteborg, Sweden, Thomas was invited to become a full-time coach at the Valhalla Jiu-Jitsu academy, a position he accepted, leaving a promising career in the rocket building industry behind. Cover photo by William Burkhardt.